Hermès and Apple are luring festive shoppers by launching the Équateur Tatouage Apple Watch strap that complements the brand’s iconic silk scarves. 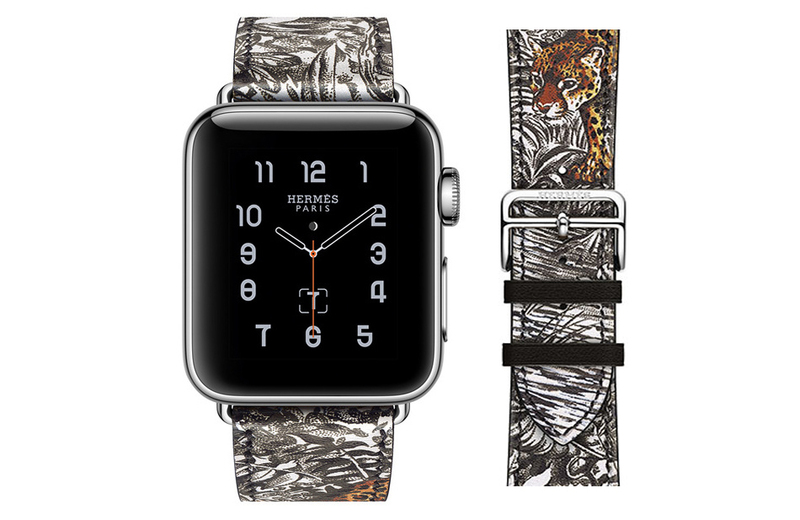 The French luxury house continues to pay homage to the work of wildlife artist Robert Dallet by featuring designs of his Équateur Tatouage scarf print from 1988 on the limited-edition printed Apple Watch Single Tour band. 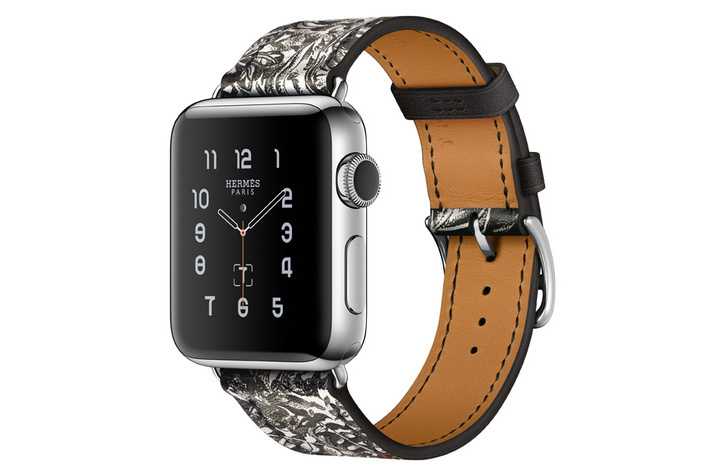 This band, which is also the first printed Apple Watch strap by the fashion house, is handcrafted from black calfskin leather and sports some color in the form of a leopard graphic. Designed to be worn with any of the Hermès Apple watch, the Équateur Tatouage Apple Watch Single Tour 42 mm strap is available for $410 from Hermès.